Assignment: Make a mixed media collage upon a surface of gessoed newspaper. 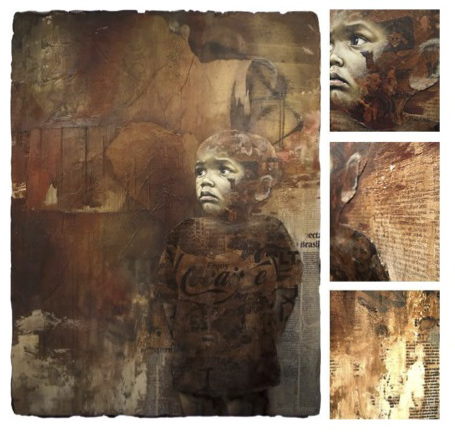 Combine image with mixed media materials to create a new image which has depth and ambiguous space. Consider composition and texture, and also the overall unity of the piece.